Charming 3 bed/2 bath home in popular Centennial! 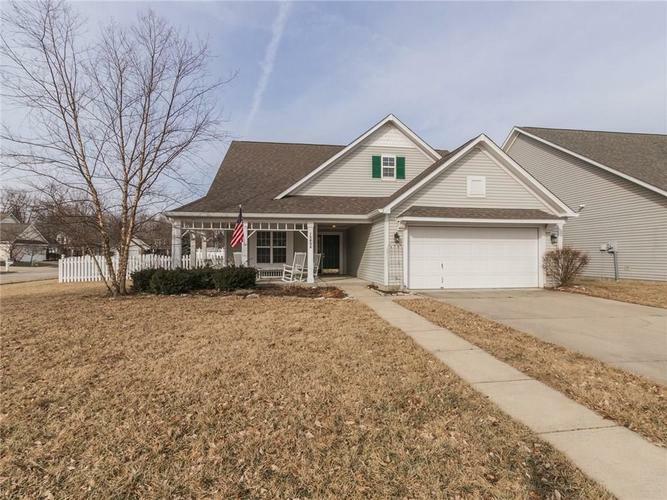 Fully fenced in yard with a wrap around porch and large open patio in the back to relax during the warm months. Open family room with vaulted ceilings and wood burning fireplace. The eat in kitchen with a large bay window is space-efficient and has plenty of cabinet space. Main floor master with en suite that includes double sinks and walk in closet! Upstairs can be the 3rd bedroom or used as a loft or office! Minutes away from the clubhouse with pool, tennis courts, sand volleyball, and basketball courts. UPDATES include New Roof and Gutters, Heat Pump, Water Softener, Low Decibel Dishwasher, and Garbage Disposal. Directions:S on Ditch Rd from 156th St, turn left onto Bridgeport Dr, right onto Dormant Dr, left onto Monmouth Dr. and then right onto Rutherford.